Admit it, you have an inquiring mind, and you want to know about the team designing your Central Oregon dream home. We understand the inclination. so we decided to bring you Shop Talk, conversations with the talented pros designing, building, and outfitting your homes. Color Tile & Carpet is all about service. We love customers with projects of all sizes. We have found a customer three tiles to fix an old repair job. We also found 1,200 square feet for a home in need of better traction for an aging dog. We value our customers and love serving them in the ways they need. We offer all floor covering services—carpet, wood, laminate, LVP, and tile. We do kitchens, baths, showers, DIY, or contractor/builder services. We do installation or recommend local talented installers. We also offer design services to all of our customers. We make house calls on occasion, and do measures as needed for all types of surfaces. We serve all of Central Oregon. Most people don’t know we have two locations, one in Bend and a second location in Redmond. Our Redmond store is near the fairgrounds. I love small business and the way I get to help people grow. I’ve managed a small publishing company, owned a children’s salon in Montana, started a frozen yogurt food truck, and am ever thinking of some new venture. I graduated from Montana State University in Economics. what motivated you to go into this field? I’ve always loved small business. We have also owned a few fixer-upper homes and love doing home projects. From design to execution, seeing a project through the phases of hopes and dreams to demolition and despair toward final creation has always thrilled me. I love working with people and helping them find things that help them express themselves in the finishes of their homes. Puzzles. Mountain biking is full of puzzles. So is rock climbing. Puzzles challenge us to see our efforts in a new light. They force us take a step closer to zoom in on the details and then immediately zoom out to see the big picture. Inspiration comes from solving a puzzle because you saw it both for the detail of its finishes, as well as the big-picture cohesive accomplishment. Currently we are remodeling our Bend location. It is a work in progress and we hope our customers will understand as we stay open to serve them through the remodeling process and mess. We are most excited to see it done so we can better showcase products, set patterns, and new ideas. What specialties do you have in-house? We have an incredible staff with great design capabilities. Everyone at Color Tile has an opinion and we are always happy to share what we think while guiding various tastes toward an end that fits each individual customer. Smitty is our honest designer. He just tells it like it is. Kelly, Sandra, and Wendy are each talented and I love watching each of them work with various customers with a range of tastes. Watching them work back and forth between customers and styles is one of the best parts of my job. Working with talented people is a thrill. Talk about a project you’re really proud of. When I decided to buy Color Tile from the previous owner, I knew it would be good to get some hands-on experience. So I spent three months working with Dave Gerhardt laying tile. My first job with Dave was an incredible fireplace that the homeowner wanted done in a crazy geometric set pattern. It was one of those jobs that follows one of the core values of my life: When in doubt, start. We started, and I think it even exceeded the homeowner’s vision and expectations. Any tricks of the trade you would be willing to share with us? My favorite tip is for installing pebbles. When installing pebbles on a sheet, a simple way to hide the sheet lines is to tear off the outside perimeter of each sheet and lay those loose pebbles in by hand. It does take a bit more effort, but if you want your pebbles to look truly random and natural, this is the quickest way to set them and not see the outlines of each sheet. When you start peeling pebbles, be careful! It’s easy to get carried away with your design. The thing I enjoy most is being able to serve those around me. Employees, vendors, customers. I see that same value in each of my employees, which makes our team at Color Tile a great group of people. I hired Smitty over a year ago, and in our initial interview, he told me he wanted to work for me to make my life easier. It is that spirit of service that makes our world progress in a way that edifies all. Smitty vocalized it, but I see that attitude in Wendy, and Sandra, and Kelly. I see it in some of my vendors, and I see it in most of my customers. It is a thrill to work with people who want to be where they are. Working with my dad. We didn’t have much growing up but we were always fed opportunities. He taught me to recognize opportunities and seize them. If you weren’t in your field, what would you be doing? If I weren’t in home design, I’d be creating something else. I don’t know that it really matters what; I’ve always found joy in creating things and being a part of contributing to something larger than myself. If you could own any three pieces of art, what would they be? 1) One of Troy Collins’ fall-scapes. I love his bold strokes and thick textures. 2) A Sam Maloof rocking chair. He is a man of incredibly generous nature. Willing to share his craft and talent with any aspiring craftsman/woodworker. His style is one of unity. An embodiment of atonement. Many pieces that seamlessly knit into one greater whole. 3) Photography. Jeffrey Murray’s images are stunning. I am especially entranced by his metal prints. So clean. So big. Very inspiring. What do you enjoy most about living and working here? I love the fact that most of us here in Central Oregon choose to live here. Being surrounded by people who intentionally live here creates a community of choice and belonging. I believe that when you can choose where you live, you are more intentional about your life. When you first walk into Nelson Tile & Stone, it may look like a modern tile showroom, but they do so much more. 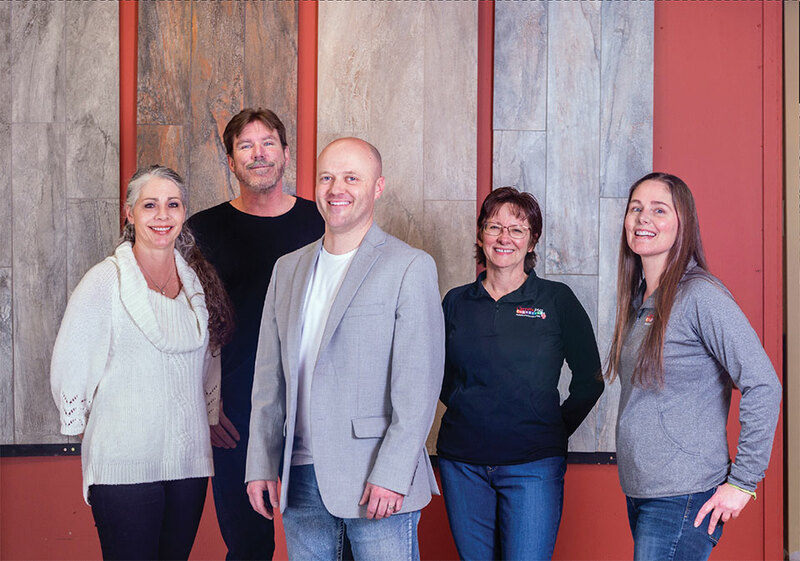 They are recognized for their state-of-the-art fabrication of countertops, design service, on-site inventory of full granite, quartzite, and other natural stones as well as kitchen and bath remodel services. Nelson Tile and Stone is a supplier of high-end interior finishes. We specialize in technology-driven stone fabrication, interior design, and tile. 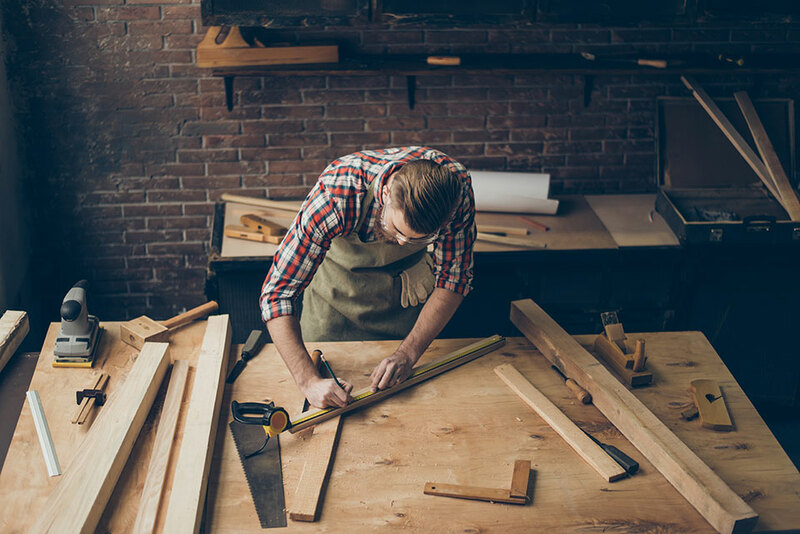 From solid surface countertop production, to modern showroom and specialized staff, we deliver solutions to both building professionals and homeowners for their remodel and new construction needs. We primarily serve the Bend, Redmond, Sisters, and Sunriver areas in Central Oregon. Do you have special certifications or specialties? We are certified to fabricate all solid-surface countertop materials, whether it be high-tech composite surfaces, classic granite, or quartz, as well as the newer large-slab porcelain materials. Born and raised in Bend, I became passionate about the evolving housing market and growing demand for higher quality materials and surfaces. 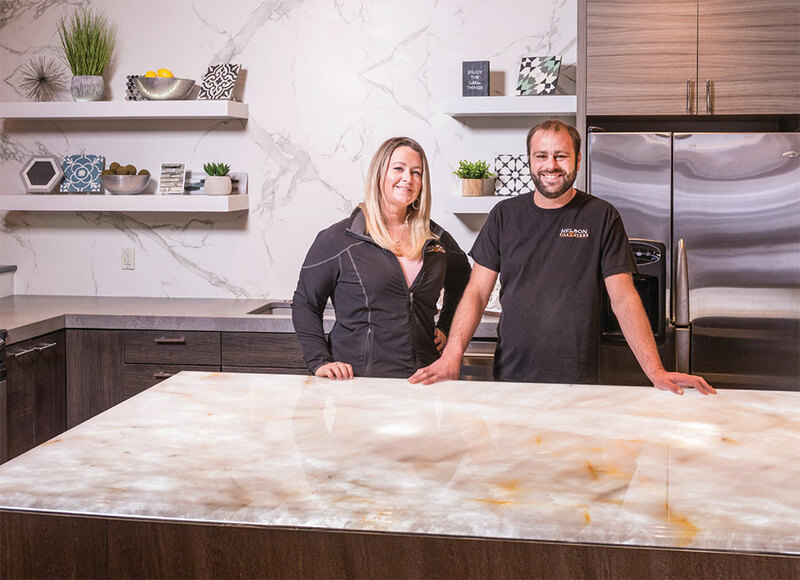 Whether the homeowner is wanting to transform their bathroom into a spa-like oasis or light a beautiful piece of quartzite on their kitchen island for a huge wow factor, the ability to transform with our products has given our team a love for what we do. Today, inspiration comes from a combination of the area we live in … as we often say, “Connecting with nature and bringing the outdoors inside is still a hot look in Central Oregon.” We also keep a close eye on the evolving design trends through social media and sites like Houzz and Pinterest. Because of the internet, trends in home interiors have sped up and almost seem to change as fast as clothing fashion. How do you see your field changing in the future? Our approach is to be forward-thinking in our industry and continue to evolve. Recently, that has meant adding laser templating for precision countertop measurement and a state-of-the-art CNC cutting machine to digitally process counters. It’s an investment that has really paid off by raising the bar for countertop quality. Quartzite is making a big impression on people right now. It’s stronger than granite, can have the beautiful looks of marble, and is a natural product as opposed to its man-made namesake, quartz. To keep up with the demand we’ve recently acquired eight new breathtaking options to our in-stock inventory. This gives our clients an up-close and personal view of the full slab right from our showroom. Clients used to need to travel to Portland to see full slabs on behalf of the fabricator, now we can save travel time by having it local. Something else that’s starting to get a lot of buzz is the large-format porcelain tiles. They come as big as a granite slab, but as thin as a tile. This allows for the material to go on almost any surface. The most popular has been shower walls. People love it because it means little to no grout joints! The cost of the material still runs higher than a typical tile install but it’s a luxury that has a lot of practical purpose. We’re in a unique position to do the work because we have experience in moving and fabricating large material combined with the knowledge of correct tile installation required for this kind of material. How do you work with clients, contractors, designers, and architects? Our customer relationships run deep in Central Oregon. Our process usually starts off with drawings and plans of the project. From there, we determine the quantity needs and start working with the client on materials. We feel strongly about taking a customer-led approach by listening closely and learning about what inspires them. Directing them to choices that fit their vision with our product knowledge helps the process go smoothly. I’m most proud of our smart start-to-finish project work. Our team can eliminate the need for hiring other trades and endless shopping around. For instance, when replacing a countertop there are many factors to consider. Who will demo the old counter? What if there’s drywall repair once the backsplash is removed? Who will install the faucet? Ultimately, we can handle all aspects of a remodel. A normal schedule is to template one week, return the next week to demo, install counters, and replace fixtures all in one day. Our customers love getting their kitchen back so quickly and often don’t believe it can happen until they see it. Our back-lighted quartz counters and tables! We have one in our showroom to see in person. It really creates the centerpiece of any room. Any tricks of the trade You’d be willing to share? Before doing a project, consider the kind of trade you want to hire for it. Many people can sell you a countertop or the materials for it—same goes for tile. But, when you want the hands-on expertise of the project, consider going directly to the business that will ultimately handle it, cut it, and install it. From the beginning to the end, use the company that is most intimately involved with the materials. We see many project failures from people who are buying the projects from trades that know very little about the actual technicalities of the materials and in the end cost more when it has to be redone. What do you enjoy about work? First, the rate at which the changes are taking place. From trending colors, textures, even the size of the materials (which are getting larger and larger), the industry is always keeping us on our toes. Second, we love that we work and can stand behind a quality product. While trends come and go, we work with materials that rank the highest in their field in durability. This gives us confidence that we are providing value in all we do. It would still involve physical work. It seems to be a dying art but I love the reward of the finished product. It used to be the radio but these days I’m paying attention to podcasts that focus on the industry and business ownership. Do you have a favorite recreational activity? Lately it’s been fat-tire e-bikes. I’ve been able to explore a much larger part of Central Oregon with the speed and distances my bike can take me. In addition to a full range of architectural design services, Studio H Design offers master planning and interior design. In our master planning department, we are well versed in designing everything from ranches with road and trail networks to subdivisions with parks that extend the urban fabric of our communities. Interior design is a natural extension of our architecture and the compositional intent of a design. At the core of our business is architectural design that ranges from custom residences to large-scale commercial projects. On the residential side we have several mountain modern luxury homes online in the Yellowstone Club that engage dramatic mountain landscapes and vistas. On a ranch in the Gallatin Valley, we are designing structures that are carefully placed to create interconnections and provide a sense of discovery as one moves through the site. On the commercial side, we are excited to be master planning a large subdivision in Bozeman with an innovative new zoning type that encourages the mixed use of residential and light commercial. We are working with the latest developments in modular construction for large buildings that will provide higher quality housing constructed in a shorter amount of time with less disruption to the site and community at large. Our firm’s leadership has a background in construction. An intimate understanding of materials and construction practices shapes our forms and textures and is fundamental to our design process. Not only does our knowledge of building influence our design, it also allows us to create “contractor-friendly” drawings that result in more accurate cost and time estimations as well as a smooth construction phase. How would you describe Studio H Design’s stylistic approach? One of our principal beliefs is that we should never adhere to a strict style. Many architects find a successful style and then repeat a similar approach through the years, but that approach runs the risk of chasing trends and generating dated designs. Architecture is an infinitely flexible art form for creating a truly customized solution that responds to client, lifestyle, materials, and context. We craft our buildings using the full range of design language from the latest modern urban styles, to transitional mountain modern, to our work with historic renovation and period-correct frontier buildings. Describe your process and how you work with your clients. The first crucial step is to fully understand a client’s lifestyle, needs, and dreams before starting the design. We review precedent projects and materiality with our clients and then develop a program that lists all the spaces and requirements. The needs of a family designing their dream home in ski country is distinctly different than a young company in need of a space for their growing vision, or a commercial developer looking to provide real estate product in the most efficient manner possible. Our experience in all of these types of projects allows us to tailor the process to fit the situation, leading to a seamless and enjoyable design process for all.